This Route is a classic for Hong Kong and a regular training ground for many locals. 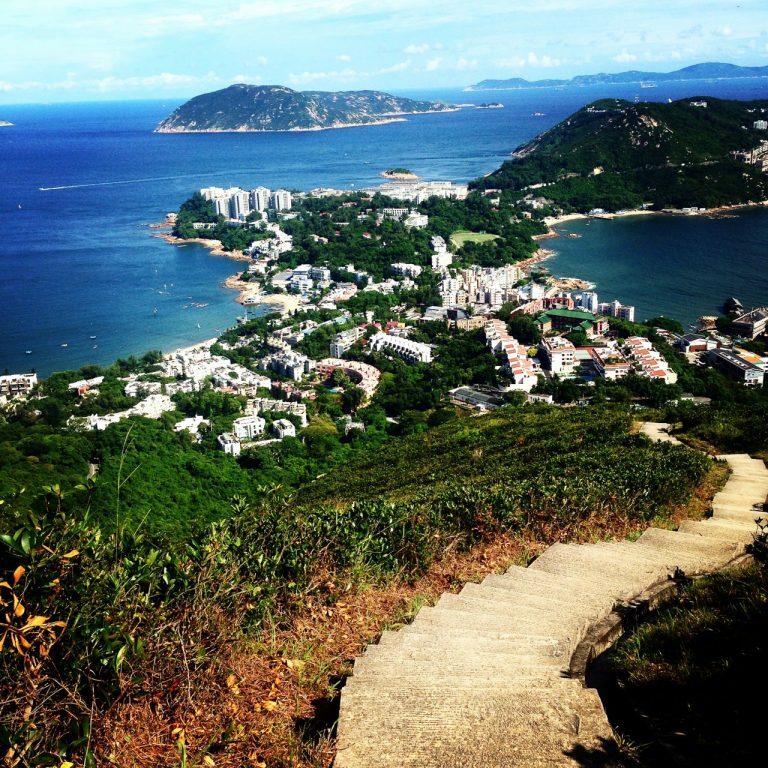 It takes you from Repulse Bay, up and over ‘The Twins’ then along the catchment back to Repulse Bay. Amazing views of the south side of HK looking over Stanley and Shek O, and a great workout for the legs! There are lockers available in 7-11 at Repulse Bay. Drinking fountain, Showers and toilets also available at the beach. Route: Once you reach the saddle between the hills, head up the stairs on the right, you will do the loop in a clockwise direction. Finish back in Repulse bay – lots of great cafe’s and shops to hang out in after. From Central Exchange Square get bus no 260, 6, 6A, 6X, or 66. Get off at Repulse Bay Beach. Same buses back into Central.